100 Best Real Estate Agent Ads On CD! 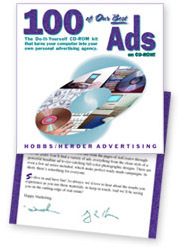 Now you can have the best of Hobbs/Herder’s ads—created by our award-winning staff of writers and designers—and you can have them all on one amazing CD-ROM, 100 of Our Best Ads on CD-ROM. This product is not only an amazing advertising value—you get 100 of our best ads for less than the price of one professionally created ad—it will also revolutionize the very way you advertise. Think about it. You’ll have 100 of our best ads, professionally designed, including all the graphics you will need at your fingertips. These are the ads that have proven to be the most popular and most effective, and have made the most impact in marketplaces all over North America. With their dynamic layouts and full-color graphics, these ads will make a real splash in your marketplace and get you noticed by prospective clients. The sheer quality of these ads will make you look like the consummate professional who stands head and shoulders above your competition. And that’s one of the critical keys to getting you more calls, more leads, more “at bats” with the prospective clients in your area. 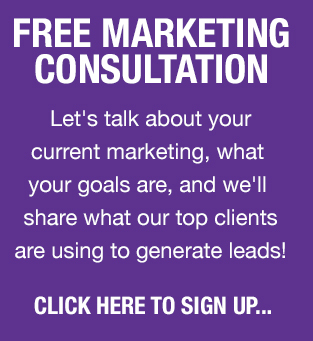 A turnkey system to create powerful ads, fliers or mailers—just personalize and go! This CD-ROM kit is all you need to supercharge your mass media advertising or direct-mail campaign. These ads are excellent for placing in newspapers, homes and land-style publications, glossy lifestyle magazines, on direct-mail cards—even as black-and-white or color fliers. You, or your local printer/graphic designer, can size it to the publication’s specifications using a computer with a CD-ROM drive and Adobe InDesign. 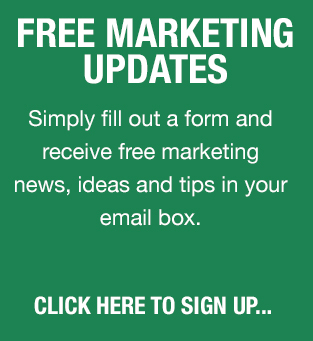 With 100 ads to choose from, you quite literally have a product that can power your personal marketing needs for years to come.